Keeping his feet on the ground is not Richard Federley’s strong point. 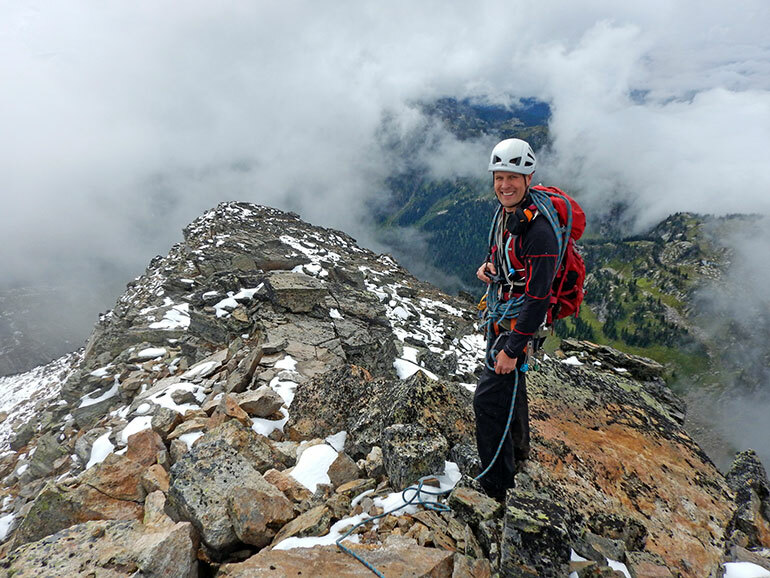 With an insatiable curiosity and a passion for adventure, jumping out of planes and exploring the unknown is everyday stuff for this UBC chemistry instructor. No wonder he caught the eye of the Canadian Space Agency (CSA) recruitment team. Federley, who teaches at UBC’s Okanagan campus, is shortlisted to be one of Canada’s next astronauts. The CSA is searching for two and there are 72 on the list, carefully whittled down from some 3,700 hopefuls when the search began last summer. UBC chemistry instructor Richard Federley. And he’s not afraid to face the unknown. Take jumping out of airplanes, for example—that intense feeling of excitement and freedom—only sparked Federley’s curiosity. 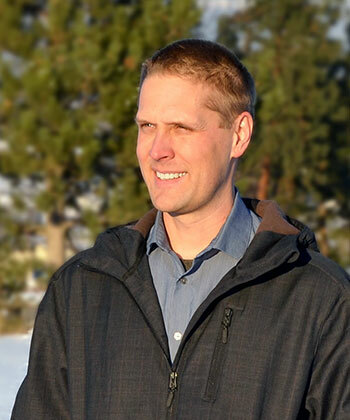 He’s now a licenced pilot and has hobbies such as speed flying (a faster version of paragliding), whitewater kayaking, ice climbing, dirt biking, and on a rest day he and his wife Jannah can be found hiking the many trails in and around Kelowna. Being inquisitive led Federley into a chemistry career and then the classroom—because he loves to share what he discovers. He describes how as a young child he explored his backyard, and then he ventured further to a neighbour’s yard, then to a local park, then around the entire neighbourhood. Always expanding his horizons, knowing there is more to see, learning every step of the way. That’s where space, the CSA and his latest adventure comes in. While Federley can’t say much about the official process of being shortlisted, the arduous training, or what’s next, he is thrilled to have made it this far. The competition is tough, the expectations are huge and, freshly back from the Astronaut Assessment Centre, Federley’s excitement is contagious. Of course, it all comes back to learning. The classroom, his students, and sharing his love of the sciences is always top of mind. Federley teaches general chemistry, environmental atmospheric chemistry, and environmental aqueous chemistry. Marrying a passion for teaching and adventure seems like a natural path for a guy who knows no boundaries. He wants his students to realize that if you follow your curiosity—and if you’re brave enough to take that first step into the unknown—the opportunities can lead to something out of this world. UBC chemistry instructor Richard Federley is ready to take on any adventure—even space travel.